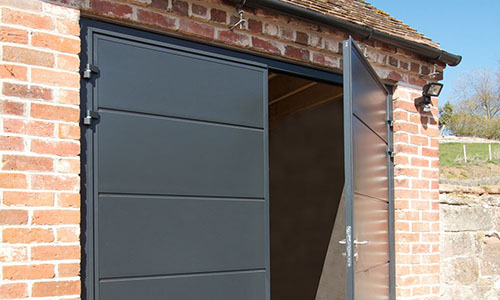 CS Garage Doors in Leeds selects side hinged doors from established manufacturer Teckentrup, who integrate the highest standards of design, security and reliability. Teckentrup was founded in Germany in 1932 and is now one of the largest garage door manufacturers in Europe. Carteck Sectional Garage Doors, developed by Teckentrup, incorporate innovative safety solutions and intelligent drive systems for strength, security and reliability. 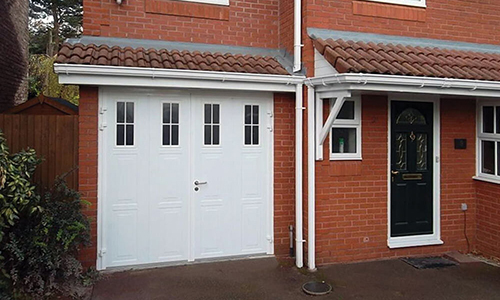 Teckentrup side hinged garage doors and personnel doors are quite simply the very best. The solid panels, engineered hollow section aluminium frames and high grade fittings result in a door that closes with a reassuringly deep “clunk”.